lt;stronggt;RCPD213BLUlt;/stronggt;lt;BR/gt;Rubbermaid Super Stitch Blend Mop Headlt;BR/gt;All-purpose mop for general cleaning has synthetic mesh headbands to prohibit moisture retention for longer life. Balanced blend of 4-ply cotton and synthetic yarns for absorbency and strength and good release of liquids. Looped ends and yarn tailband mop for greater floor coverage, plus available in multiple colors for color-coding by cleaning area. 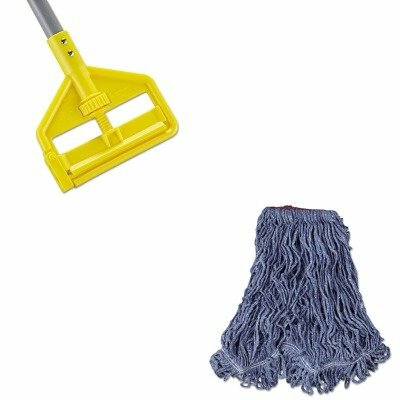 Head Type: Wet Mop Application: Floor Maintenance Mop Head Style: Looped End.lt;BR/gt;lt;BR/gt;lt;stronggt;RCPH146lt;/stronggt;lt;BR/gt;Rubbermaid Super Stitch Blend Mop Headlt;BR/gt;Easy-change, side-gate design allows you to quickly slide mop heads on or off. Adjustable thumb wheel enables stress-free, tight and secure clamp down. Solvent- and acid-resistant frame enables use with all commercial floor stripping agents. Handle Length: 60amp;quot; Handle Diameter: 1amp;quot; Handle Material: Fiberglass. View More In Mop Handles. If you have any questions about this product by Rubbermaid, contact us by completing and submitting the form below. If you are looking for a specif part number, please include it with your message. © 2019 - blogfreehere.com. All Rights Reserved.